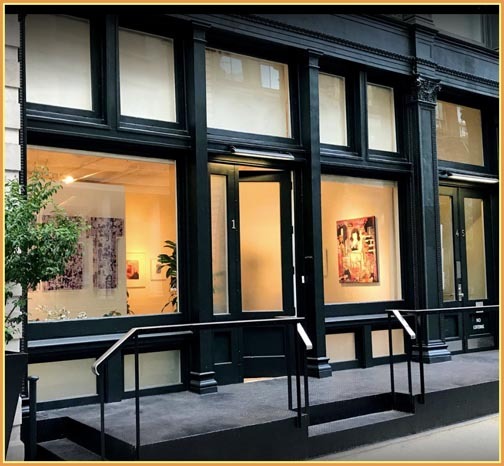 This January, The Untitled Space gallery is pleased to present ONE YEAR OF RESISTANCE group exhibition, curated by gallery director and artist Indira Cesarine, featuring the work of more than 80 contemporary artists responding to the political climate in America since the election of President Donald Trump. 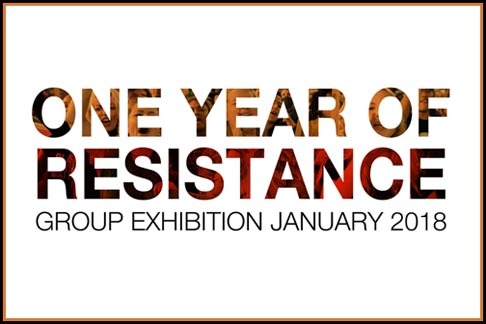 Opening January 16th, and on view through February 4th, ONE YEAR OF RESISTANCE marks the one year anniversary of the inauguration of one of the most controversial presidents in American history. In a follow up to the gallery’s critically acclaimed group show “UPRISE / ANGRY WOMEN,” which opened during the week of the 2017 presidential inauguration, exhibition ONE YEAR OF RESISTANCE features artwork across all mediums addressing the issues our society has been confronted with since the election such as immigration rights, health care, reproductive rights, climate change, transgender rights, white supremacy, gender equality, gun control, sexual harassment, as well as countless other issues which have given rise to mass protest throughout the United States and abroad over the past year. ONE YEAR OF RESISTANCE celebrates art as activism, giving voices to contemporary artists from all backgrounds, ages and genders. Through works motivated by the controversial policies and practices of our current president, the exhibition sheds light on the challenging issues of contemporary culture in the face of the presidential political agenda.